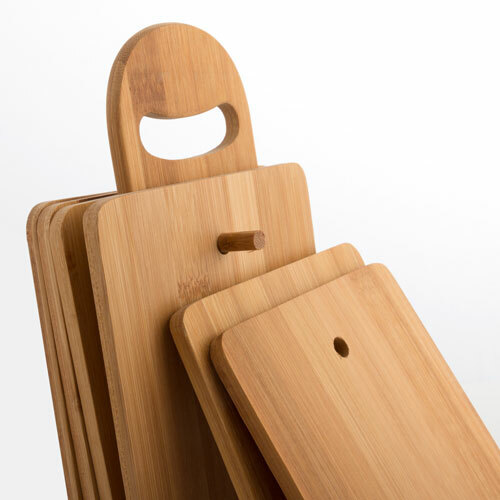 TakeTokio bamboo set of chopping boards with base (7 pieces). 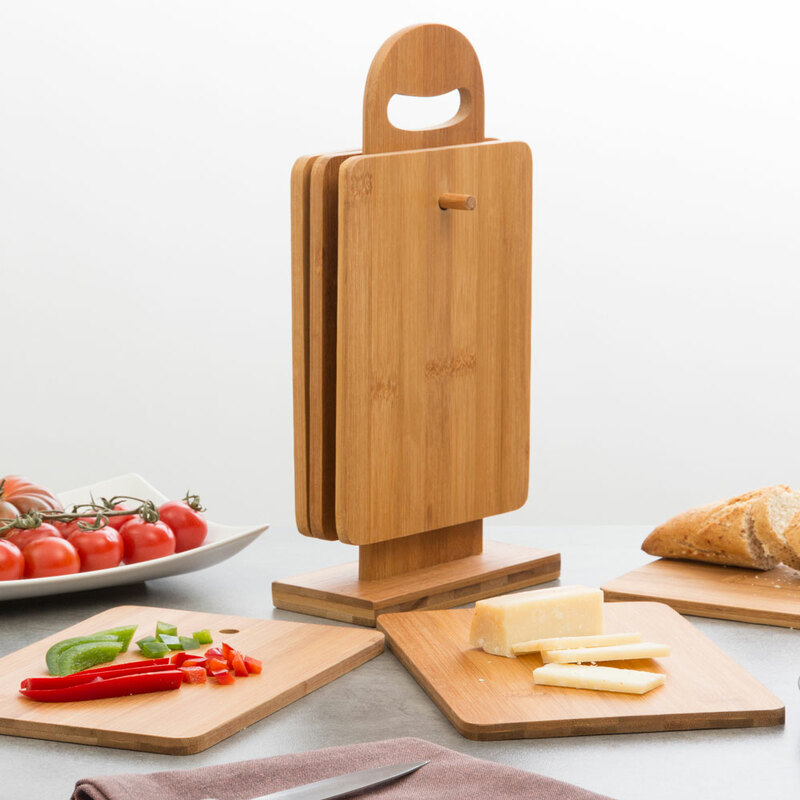 This bamboo set features: 6 chopping boards (approx. : 22 x 1 x 15 cm each) and 1 practical base (approx. : 15 x 34 x 7 cm).